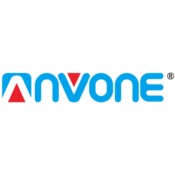 anvone's booth, featuring 26493 items, including 12V 5A Replacement ADPC12416AB 12V 4.16A 50W Power Supply AC Adapter, 12V 5A Replacement ADP-50XB 12V 4.16A 50W Delta AC Adapter Power Supply, 12V 5A Replacement ADP-50YH B 12V 4.16A 50W Delta Power Supply AC Adapter, 12V 5A Replacement 0218B1255 12V 4.58A 55W Lishin Power Supply AC Adapter, 12V 5A Replacement AD5012N3L 12V 4.16A 50W EMERSON Power Supply AC Adapter, 12V 5A Replacement PAA0050F 12V 4.16A 50W CWT Power Supply AC Adapter, 12V 5A Replacement PA-1051-0 12V 4.16A Liteon Power Supply AC Adapter, 12V 5A Replacement EADP-50DB B 12V 4.16A 50W Delta Power Supply AC Adapter, 12V 5A Replacement 409129-002 12V 4.16A 50W Delta AC Adapter Power Supply, 12V 5A Replacement PROTON SPN-260-12D 12V 4.16A 50W Power Supply AC Adapter, 12V 5A Replacement ADPC124166BB 12V 4.16A 50W TPV Power Supply AC Adapter, 12V 5A Replacement API1AD53 12V 4.16A 50W AcBel AC Adapter Power Supply, 12V 5A Replacement PWR-60W-AC EADP-60BB A Delta Cisco AC Adapter Power Supply, 12V 5A Replacement DSA-60W-12 1 12060 LINKSYS NAS200 Power Supply AC Adapter, 12V 5A Replacement EADP-60MB B 341-0231-03 Delta Cisco Power Supply AC Adapter, 12V 5A Replacement LS12V5A LINKSYS NAS200 AC Adapter Power Supply Charger, 12V 5A Replacement FSP050-1AD121C 12V 4.16A 50W FSP AC Adapter Power Supply, 12V 5A Replacement PA-1500-1M03 12V 4.16A 50W Liteon Power Supply AC Adapter, 12V 5A Replacement PSA60W-120 12V 4.16A 50W PHIHONG Switching Power Supply, 12V 5A Replacement FSP050-DBCD1 12V 4.16A 50W FSP Power Supply AC Adapter, 12V 5A Replacement ADS-65LSI-12-1 12048G 12V 4A 48W Honor Power Supply Adapter, 12V 5A Replacement LSE9901B1250 12V 4.16A 50W Lishin View Sonic Power Supply, 12V 5A Replacement ADPC12350BB 12V 3.5A 42W AOC Power Supply AC Adapter, 12V 5A Replacement MU42-3120350-A1 12V 3.5A 42W Netgear Power Supply AC Adapter. A notification has been sent to anvone about your wish to chat with them. If they are available, they should be around within 5-10 minutes.